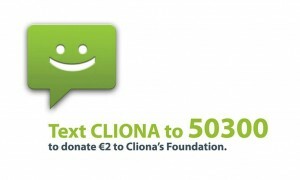 Thanks to Caherline National School who are organising a summer fashion show party to raise funds for Cliona’s Foundation and Caherline school. 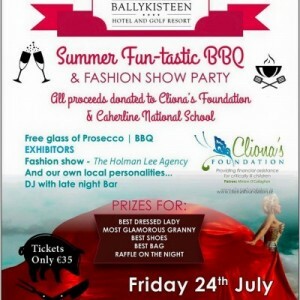 The evening kicks off at 6pm with a BBQ and prosecco reception in the courtyard of the four star Ballykisteen Hotel, Tipperary. The fashion show will start at 8pm featuring stunning outfits modelled by the girls from The Holman Lee agency. Get your girls together and enjoy what will definitely be an amazing evening of fun, fashion and glam! Tickets €35pp and are on sale from Ballykisteen hotel at 062 33333 or Suzie at 087 7697811 or if you prefer you can purchase the tickets from the following Caherconlish businesses: First Cut Hair salon, Karma Beautician’s, Caherconlish Pharmacy & Stone oven Bistro.